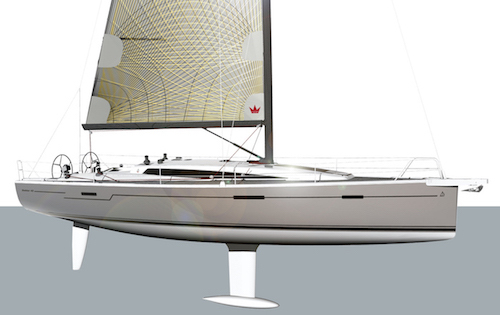 Only a few weeks to delivery of the first hull in Italy of the new Dehler 42, presented at the Dusseldorf fair. A cruiser – racer far Clesse, with carbon reinforcement in the structure of the hull and interior in teak clear. We are at your disposal by for a visit on board after the launch, which will take place in Sanremo.